While interior design service can sometimes seem like a luxury only afforded to the 1%, there are actually numerous adjustments you can make on your own to elevate the interior design of your space. These cost-effective ideas still manage to look sophisticated and well done, and are often employed by the best interior design experts in the industry. Here are some of the best budget-friendly interior design ideas for your space that you can get to work on right now. Not everyone has the time to invest in painting an entire room, and furthermore, repainting can be a costly undertaking. The paint itself, plus a painter (if you decide to hire one for interior design service) can be an unnecessary cost you don’t want to incur. Instead, save on paint and labor by painting a single accent wall. Be sure to choose a color that goes with your existing wall color and adds a new depth to the room. This bold choice can be one of many intriguing and exciting interior design ideas for your accent wall, and has certainly been used by many of the best interior design professionals across the globe. Fabrics play a big role in the overall aesthetic of your space. By switching these out, you can create an entirely new color palette, mood, or scale. Our Décor Aid designers suggest looking to things like your area rug and throw pillows to determine a new color scheme, pattern, or accent color to bring into the space and change up its look. From there, you can also adjust window treatments, lampshades, and even incorporate new pieces with corresponding shades, like an ottoman or pouf. Look to what the best trends in interior design NYC style do to redecorate for proof of how well this works. These fabrics, working together, will change the perspective of your current interior decoration and make it the best interior design possible. 3. Install unique statement shelving. Blank walls can be stale and uninspiring, so it’s important to fill them with something interesting to the eye when necessary. Shelving is always an excellent choice because you’re able to display more. While hanging photos only provides the opportunity for a flat surface, shelving can incorporate books, knickknacks, photos, and other small elements. Take this a step further by installing shelving that is more unique than the standard flat base, perhaps with more angular pieces, a dimensional base, or multi-level shelving. This will heighten the look of your interior design while providing the traditional functionality of a shelf. Wood has the unique feature of being especially easy to repaint, unlike some other materials that can make switching up your interior decoration a bit more difficult. Luckily, wooden pieces are ever-popular and can be found all around any home, from dining chairs, to end tables, to nightstands, to table and chair legs. 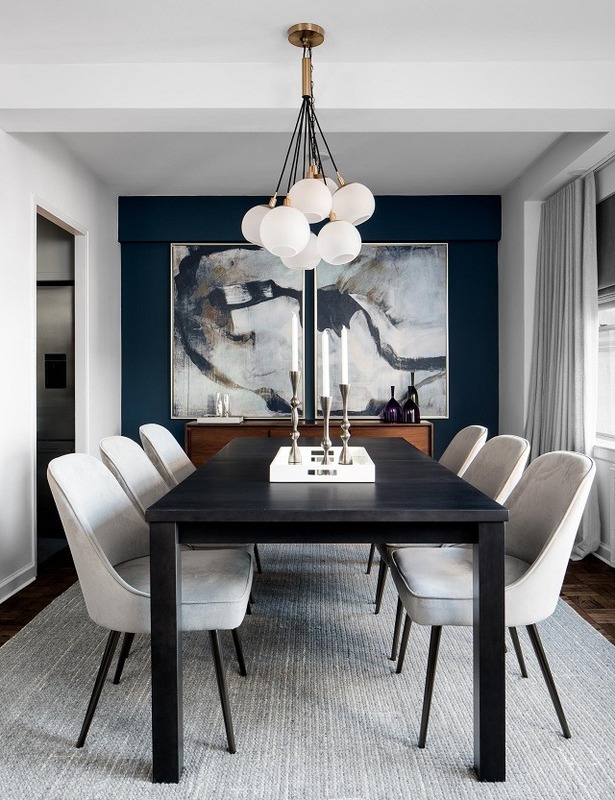 Bring a pop of color to a bleak space by repainting these pieces, perhaps in a striking primary color like red or yellow. 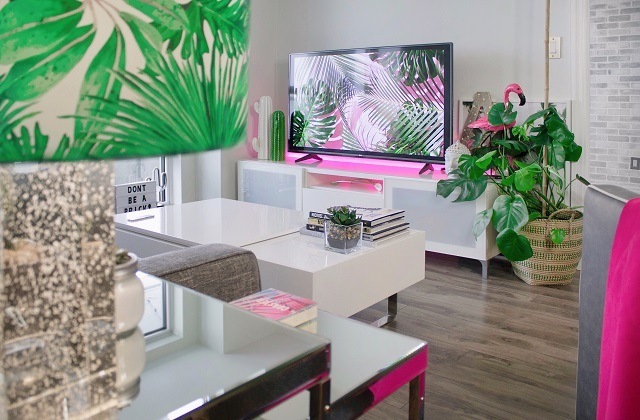 For a space that has minimal color, this is perhaps one of the most cost effective interior design ideas, and can bring an eclectic, mismatched look into the mix and breathe new life to create the best interior design without spending a fortune. For one of the most classic interior design ideas that never goes out of style, look to plants and flowers to bring some fresh air to your space. Interior decoration can also be living things, and plants prove just how lively a space can appear with the inclusion of these staples. Whether your style is high end luxury, handmade and bohemian, or somewhere in between, there is always a plant that will suit the space. Many that revel in the interior design NYC frequently boasts will notice this among small apartments, and should follow suit for an interior decoration that works anywhere. 6. 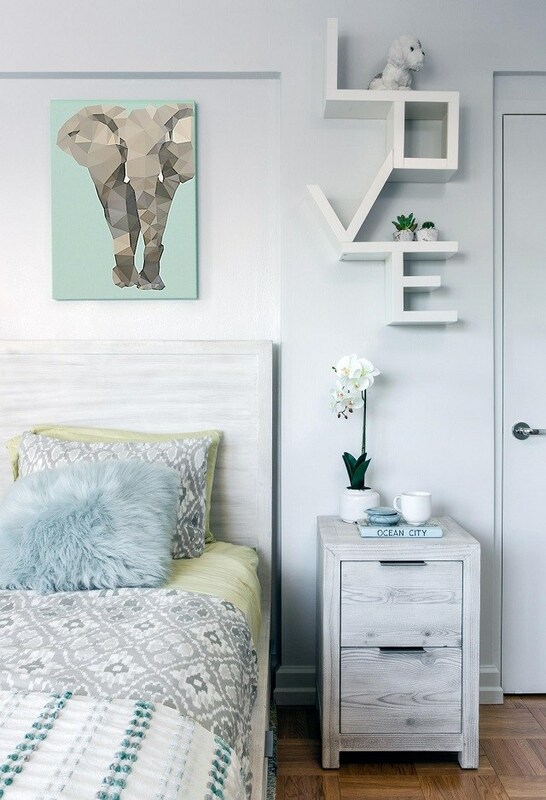 Include a statement headboard. A headboard is a single piece that can change the entire style of your bedroom, so if you’re looking for a change, switch yours out for something more bold and attention-grabbing. The best interior design is sometimes that which takes risks, so look to tufted headboards, velvet headboards, rounded headboards, geometric headboards, or other unusual features to elevate the interior decoration in your bedroom. While this may sound a bit tricky, you don’t even need the assistance of an interior design service to do this upgrade on your own. We suggest taking a look at your kitchen and considering a new color that would fit in with the current interior design, and repainting your cabinets in this shade. While this will surely make an impact, we encourage you to take it a step further by adding new hardware for handles and pulls throughout the cabinetry. Elongated, flat shapes will give an air of sophistication, while rounded and ornate knobs will give more of a bohemian feel. See what best suits the interior design of your space.